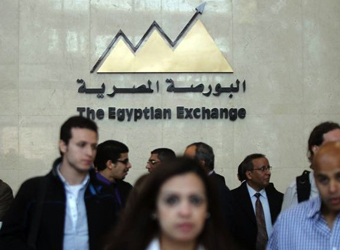 Egypt’s stock market surged Thursday on the back of the success of the country’s international sovereign bond issue. Main index, EGX30 climbed 1.62 percent, to 13091.05 points. Other indices; EGX50 EWI index hiked 1.79 percent, to 1992.8 points; EGX20 grew 1.86 percent, to 12617.09 points. Mid- and small-cap index EGX70 added 0.61 percent, to 478.48 points. Price index, EGX100 also rose 1.99 percent, to 1180.63 points. Market capitalisation posted gains worth 9.7 billion Egyptian pounds (around $511.2 million), to record 628.559 billion pounds during the closing session of Thursday. The bourse’s trading volume reached 363.233 million securities, with turnovers, closing at 1.296 billion pounds, exchanged through 31,954 transactions. Also during the closing session, 179 listed securities have been traded in, 27 declined, 121 advanced; while 30 kept their previous levels. Non-Arab foreign investors were net buyers capturing 23.97 percent of the total market, with a net equity of 43.687 million pounds, excluding the deals. On the contrary, local and Arab investors were net sellers controlling 64.84 and 11.19 percent respectively of the total markets, with a net equity of 43.586 million pounds and 101,071 pounds, respectively, excluding the deals.